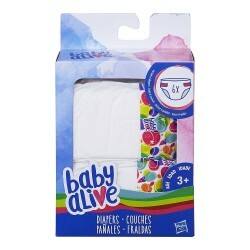 Stock up on the essentials for taking care of a baby with Baby Alive Powdered Doll Food! 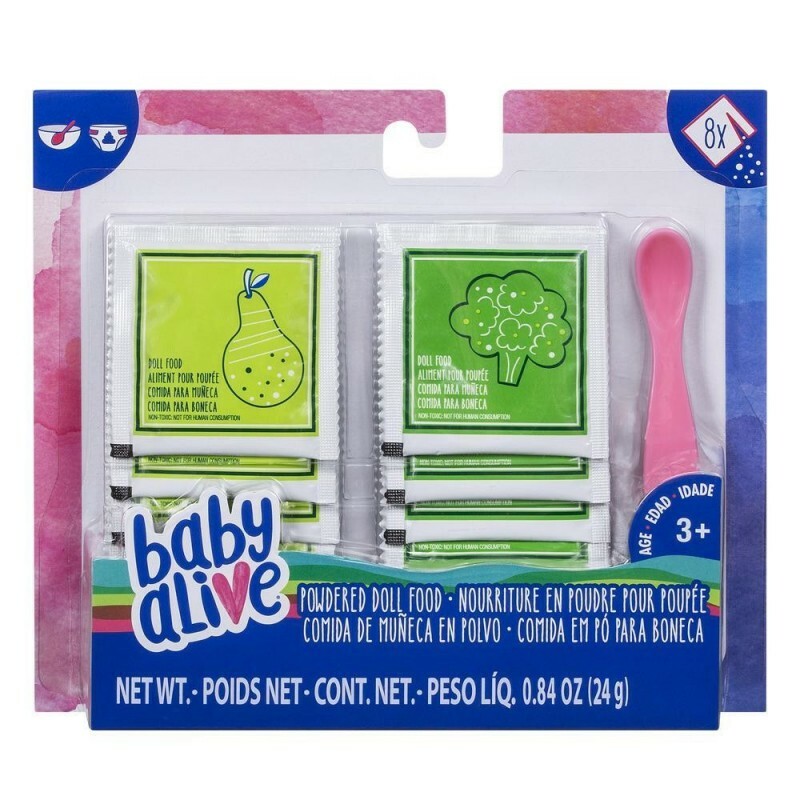 This pack comes with 8 packets of powdered doll food and spoon to make snacks for Baby Alive Dolls that use powdered doll food (doll sold separately). Simply pour powdered food packet into the bowl (not included), add 3 teaspoons/15 ml of water, and mix. 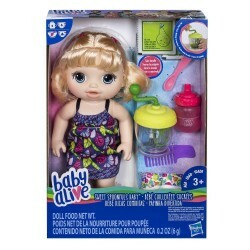 Kids can have fun pretending to feed their baby dolls as a real mommy or daddy would!